It is beyond doubt now that Saraki has absolutely no desire to have the state justify him simply by letting the allegedly false charges collapse in court. He would much rather destroy the integrity of parliament and government by hiding the legislative gavel in the folds of his agbadas and taking it with him in and out of the dock, in and out of every court in the land, than resign as senate president. It is time the judiciary, if it is to salvage any of its battered image, put an end to this ridiculous but well-laid strategy of evading trial. 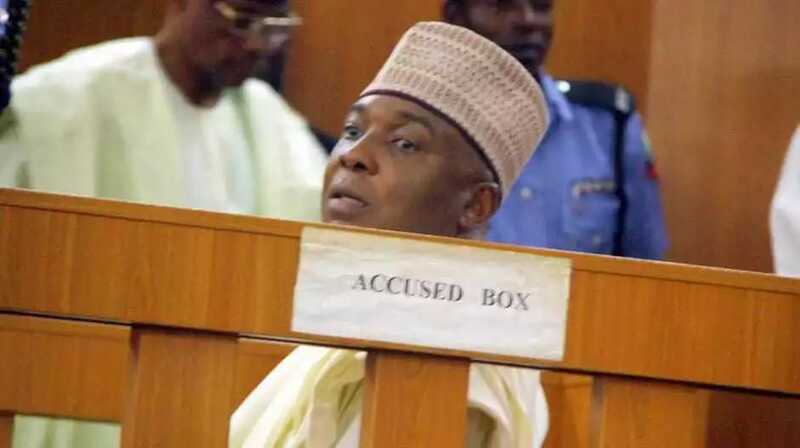 Does Senate President Bukola Saraki believe he is innocent of the charges of false and anticipatory assets declaration filed against him at the Code of Conduct Tribunal? If so, why has he chosen a most curious, if not downright dubious, manner of proving it? It is now half a year since he took his plea of “not guilty,” though not before a bench warrant for his arrest was issued to compel him to attend court. Yes, he agreed to declare his innocence only on the pain of imprisonment. But that was only the beginning of the intriguing steps Saraki has taken since then to clear his name. Rather than be impatient for the commencement of trial so he could be vindicated in the shortest possible time, Saraki elected to corral every willing and able senior advocate of Nigeria — sixty-six of them at last count — to erect the most formidable obstruction to justice money can buy. As far as judicial obstructions go, any one founded on jurisdiction is a veritable mountain, especially when pursued all the way to the Supreme Court and back. The Code of Conduct Tribunal, Saraki’s army of senior advocates averred, lacked jurisdiction to try him because it was constituted by two members (the chairman and one other), instead of three (chairman and two others) as required by the enabling Act. Furthermore, that the charges were not endorsed, having been filed when there was no sitting Attorney-General. Lastly, that Saraki’s arraignment is just a judicial cover for political persecution. The law gives the persecuted or maliciously prosecuted a remedy in tort, but not even that assurance would induce Saraki and his army of SANs to accept the all-important goal of establishing innocence through a prompt and speedy trial. So off to the Court of Appeal they went when the tribunal rightly asserted its jurisdiction. And when the Court of Appeal upheld the tribunal, off to the Supreme Court they went. On 5 February 2016, the Supreme Court unanimously dismissed Saraki’s appeal. With forum competence determined, you thought, Saraki and his army of SANs would finally welcome the commencement of trial. After all, they had gone to the end of the judicial world in Nigeria because they would prove innocence only before a properly constituted court, you were willing to concede. Alas, the jurisdiction battle will be waged all over again! And so on the fixed day of trial, Saraki’s reconstituted army of SANs, this time led by former Attorney-General Kanu Agabi, ambushed the prosecution with a fresh Motion on Notice asking the tribunal, once again, to decline its validly asserted jurisdiction now affirmed by the Supreme Court! The motion was knowingly served on the justice ministry when the whole world is aware that the said ministry is represented by counsel on record in the case. The aim, of course, was to stall by any means necessary, fair or foul but mostly foul, the commencement of trial. And not for just one day. If the tribunal falls for the trap of disregarding the clear intent of the Administration of Criminal Justice Act to hear this frivolous motion, and re-asserts its jurisdiction, then Saraki and his army of SANs will proceed post-haste to the Court of Appeal. And thence to the Supreme Court. And then back to the tribunal where another reconstituted army of SANs would file yet another Motion on Notice in flagrant abuse of court process to prolong the circus of proving innocence by preventing the very opportunity of doing so! Obviously, my presumption of integrity and a desire for exoneration on the part of Saraki, even if only made rhetorically, was simply too generous. It is beyond doubt now that Saraki has absolutely no desire to have the state justify him simply by letting the allegedly false charges collapse in court. He would much rather destroy the integrity of parliament and government by hiding the legislative gavel in the folds of his agbadas and taking it with him in and out of the dock, in and out of every court in the land, than resign as senate president. It is time the judiciary, if it is to salvage any of its battered image, put an end to this ridiculous but well-laid strategy of evading trial.